Neuropsychiatric disorders are those illnesses that have both neurological and psychiatric features. 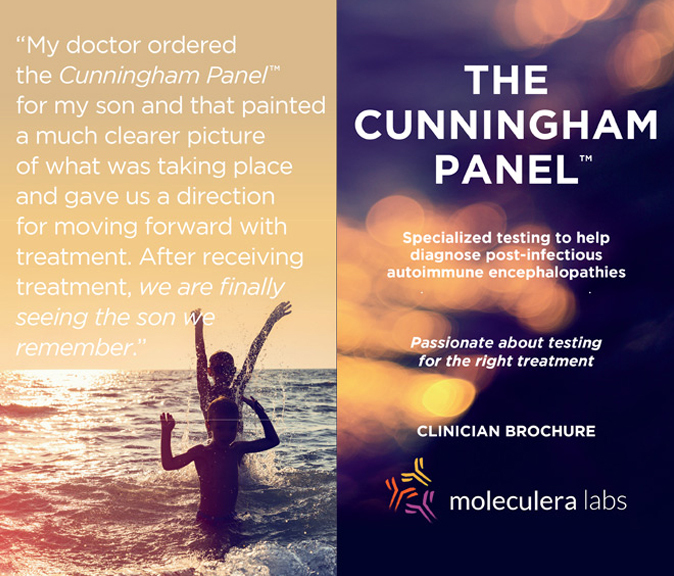 Moleculera Labs has designed a brochure, which describes how the Cunningham Panel™ of tests can assist physicians in making a Neuropsychiatric Disorders diagnosis. Information on how to order the Panel is also provided. If you have questions about the test, please free to contact our office at customerservice@moleculera.com or call, 405-239-5250. Click on the image below to view the Neuropsychiatric Disorders Brochure on screen. Once you have opened the viewer, use the forward arrows to view the entire brochure. 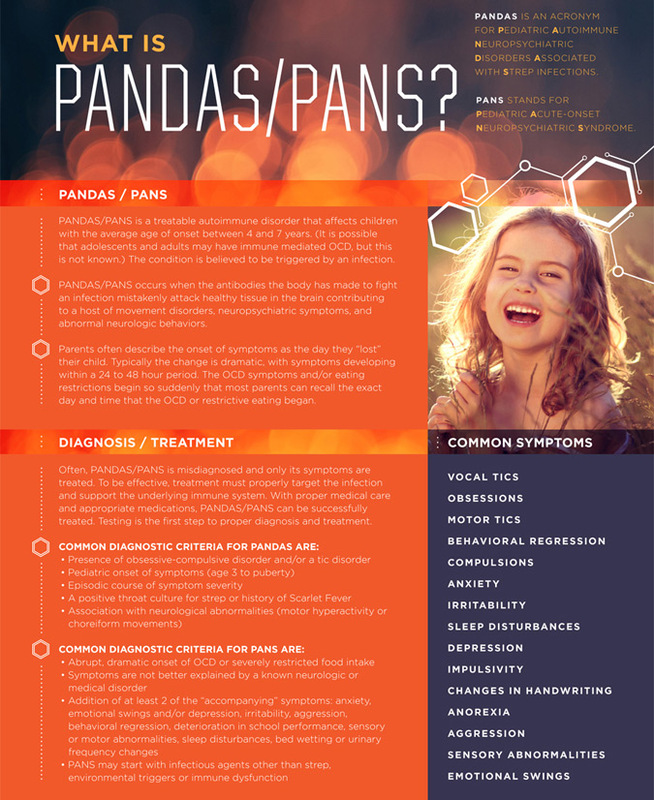 If you are a healthcare provider, you may order this brochure in bulk for your practice. You may also download a pdf of the brochure. © 2018 Moleculera Labs. All rights reserved. Please tell us about yourself so we can send you the appropriate updates on Neuropsychiatric Disorders testing and research. Please help us keep our site spam free. What Does The Cunningham Panel™ Measure?